If the image on monitore looks fuzzy, hard to read text, blurry photos, then you need a more detailed setup of its definition. It doesn't take a lot of time. But then again, you can enjoy high quality image. Besides, if well adjusted the sharpness on the monitor, and when reading eyes get tired less. A computer running the Windows operating system monitor. 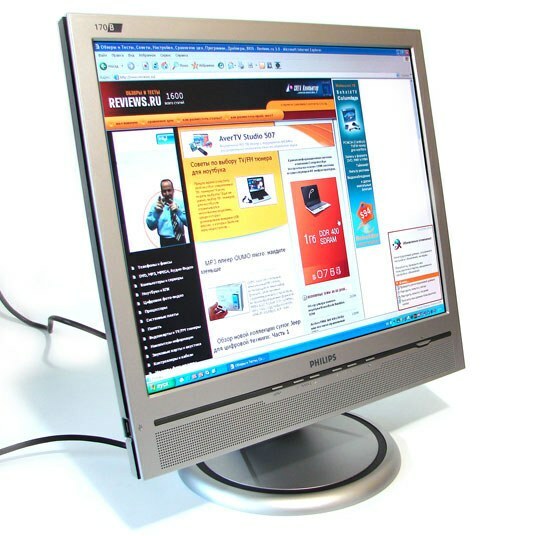 Each LCD monitor has only one resolution at which it can correctly operate. Sometimes, in order to adjust the sharpness of the images is sufficient to establish that such resolution of the monitor. If you are using Windows XP, look in the manual to use the monitor resolution that you want to install for this model. Then go to "control Panel", select "display Properties" and set the monitor resolution, which is recommended for this model. If the operating system you are using Windows 7 or Vista, just right click on an empty space on the desktop. In the ensuing context menu, choose "screen Resolution", then a window will appear "Settings" screen. Select "Resolution" and click on the arrow next to that line. Will appear a list of different screen resolutions. In front of one of the options will read "Recommended". This is the screen resolution and select. Operating systems Windows 7 and Vista you can adjust the sharpness of the monitor that is most convenient for reading of texts and viewing web pages. Again, go to "control Panel" and select "Screen". Left in the program window, select the Clear Type tab. The opening screen will appear, where you select the monitor. If you have one monitor connected to your computer, click "Next". If multiple, select the monitor you want to configure. Further alternately opened several Windows, each of which just select the text that you feel most comfortable to read. Upon completion of the test program adjusts the sharpness of the monitor based on your choice. To set the overall sharpness is possible, using the panel menu of the monitor. Using the control buttons select the component "Clarity" and set it at the level at which you want to work. How to configure the monitor. Click the right mouse button on a blank spot on the screen, calling the menu and click "properties". In appeared window "display properties" select the tab "settings". So, you can see the display field. Here written what's the name of Your monitor and the model of video card you have. Sharpness, and brightness, contrast or color rendition, is the most important parameter of operation of the monitor, which also directly affects its cost. It is the sharpness of the monitor largely determines the sharpness of the image. Respectively, configured it should be so that the image was equally as clear on the edges and in the center of the screen. Try to adjust the sharpness using the internal menu on the monitor. To do this, enter the menu and select Sharpness, if the menu is not Russified, or "Sharpness". And you can adjust the sharpness of your monitor. If the manipulation of the internal menu has not led to the desired result, you can also try to configure it via the menu "Control Panel". Go to the start menu, the window that POPs up, select "settings", then "control Panel" and select the "Screen" section. The easier option is to: click the right mouse button on the desktop, in the appeared window choose menu "Properties". In this and in the other case a window opens with 5 tabs. Before you adjust the sharpness of the monitor, carefully read the accompanying documents to it. Adjust the sharpness of a monitor depends on its model. 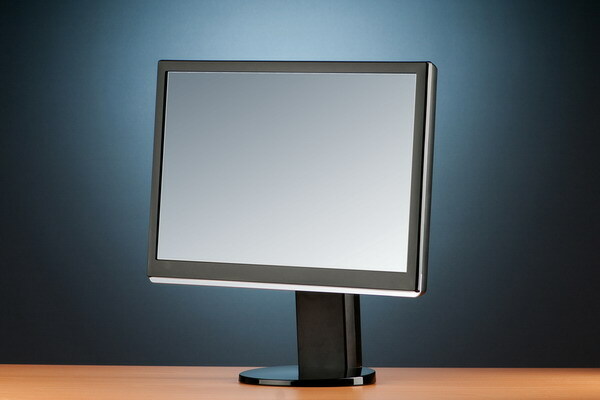 LCD monitors in the documents must be set to its optimal resolution. Remember these figures. Then earlier in the open window select the tab "Settings". On the left is the section "screen Resolution" if set there resolution above or below that you remember you need to change it to optimal, ie minded of you. In case if none of those digits, set as close as possible to him. In addition, in the tab "appearance" by clicking on the button "Effects" you can increase or decrease the desktop icons, which also affect your perception of images. If you have an older CRT monitor and are you sure that the deterioration of sharpness is not dependent on its life, try to do it with the same manipulation. If the reason in life, experts recommend to replace it with a new, as an attempt to set the sharpness is unlikely to lead to higher level of sharpness. The resolution of the screen is the number of pixels that is used to fill the screen. Laptop monitors have their own specific resolution. It depends on the dimensions of the screen – height and width. 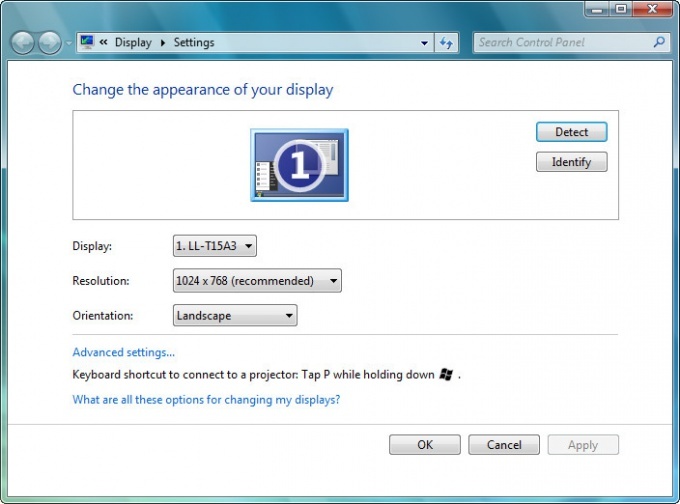 To optimize image quality by setting the correct resolution for the monitor in the operating system of the laptop. First you need to minimize all open Windows so that before the user was only open Desk. Then you need to call the menu by pressing the right mouse button on the free from the icons area of your desktop. In the context menu that appears after this, you should select "Resolution screen", next to a small icon in the monitor. After you open the control panel window called "Settings screen"will be available for display selection (in this case, should be selected "mobile PC Display"), and will also be able to change the resolution of the selected screen and the orientation of the image, which is displayed on the screen. Next you need to choose the resolution of the screenthat you want the user in the dropdown list called "Resolution". To do this, using the mouse to move the slider up or down. The higher the user will move the slider, the higher will be the resolution of the screen. If the slider is moved below the resolution of the screen will decrease. Now it is important not to forget to click on the "Apply" button to confirm the changes in Windows 7 or Windows Vista. Confirming changes, the user saves he has done to this action. If the user forgets to click on the "Apply" button, changes will not be saved and have to start from the beginning. To close the window "Options screen" click "OK". You can now start operating a laptop with the changed resolution of the screen of the monitor. This article describes how to change the screen resolution of the laptop running Windows 7 or Windows Vista. Way to change screen resolution in Windows XP differs from the said method. Each monitor has a specific resolution, in which the clarity of the image is at an optimal level. To configure the monitor settings there are special system utilities. If your computer's operating system is Windows Vista or Seven, open the personalize from the context menu of the desktop. In the screen resolution settings, select the set permissions on the system, then wait for the optimal parameters. You should change the scale of the elements of the system, if not, the resolution remains the same. In this case, the problem is not solved change display settings, so use the configuration menu of the control panel and select the type of font smoothing. If your computer's operating system is Windows XP, read the documentation of your monitor model in order to determine the optimal resolution settings. You can also install it with special tools available from the disk with the software to monitor, which is usually attached with the purchase. Insert it into the drive or download the installer from the Internet. Install the software on your computer and then launch the management utility and monitor settings. Set the optimum resolution and apply the changes. 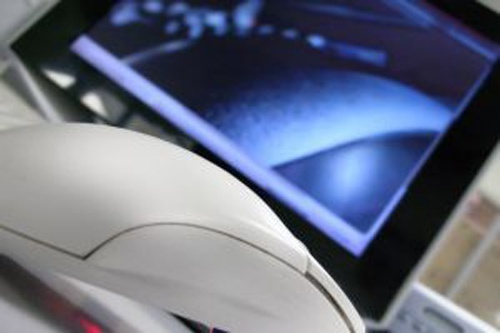 In the cases where you can't set optimum values of the monitor parameters to ensure the desired level of definition, download and install it on your computer professional program screen calibration. They differ mainly in the set of tools to debug the image, but if you want to achieve the best result, use programs designed for professionals. Also the clarity of the image on the screen may depend on the program settings, for example, some web browsers have a special utility for font smoothing. Install the resolution that is appropriate monitor model.